Time to get real, time to meditate! Join us for the world's most innovative meditation techniques created by the Indian Mystic Osho. 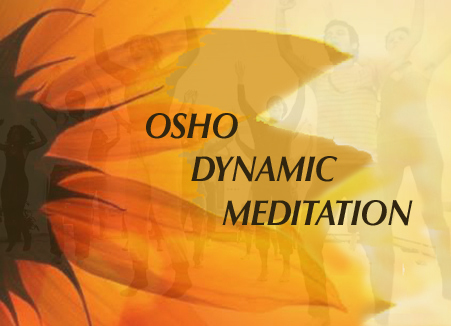 OshoLA is dedicated to spreading Osho's active meditations in the Los Angeles area and to build community. It is our vision to create a center that offers daily Osho meditations, workshops and trainings as seen in other cities around the world. Let's realize Osho's dream in Los Angeles! 3 Days of the Science of the Inner in a pleasant cozy setup, with limited participants. 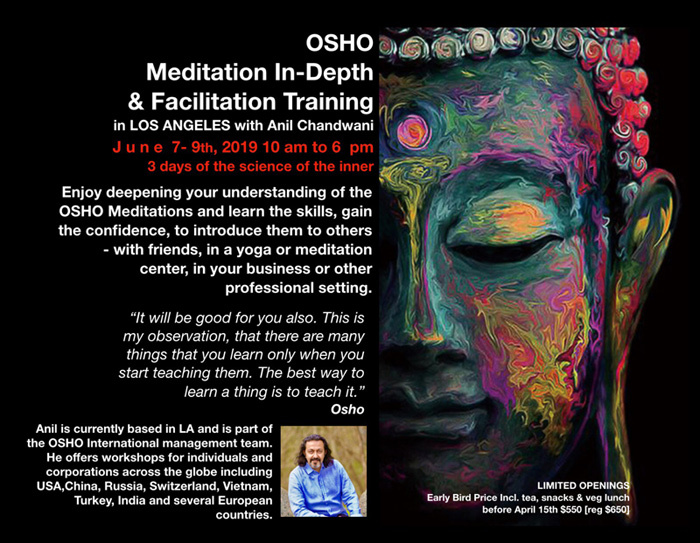 Enjoy deepening your understanding of the OSHO Meditations and learn the skills and gain the confidence, to introduce them to others - with friends, in a yoga or meditation center, in your business or other professional setting. * What is meditation? Who/what is OSHO? Read more and sign up now on Eventbrite! Do not eat at least an hour before the meditation. Instructions will be given before the meditation starts. Please arrive on time and allow time for parking and finding us.